5 Things That Mature IT Asset Management Programs Are Doing Right. what do mature itam programs do right? 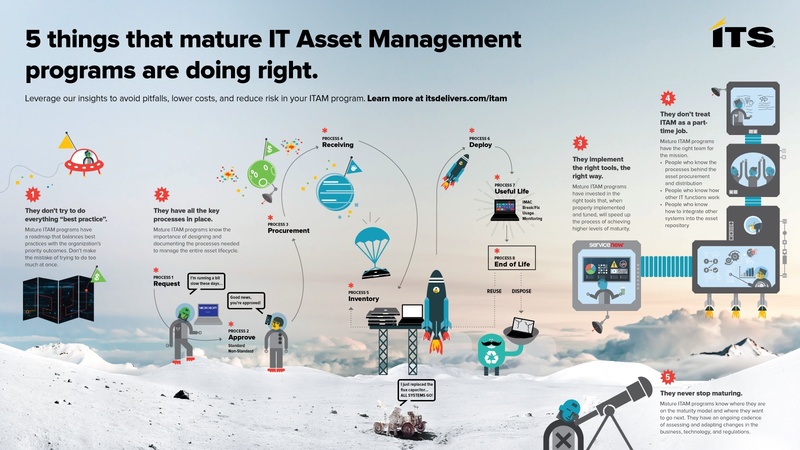 There are 5 things that mature IT Asset Management programs are doing right. Download this infographic to leverage our insights to avoid pitfalls, lower costs, and reduce risk in your IT Asset Management program.